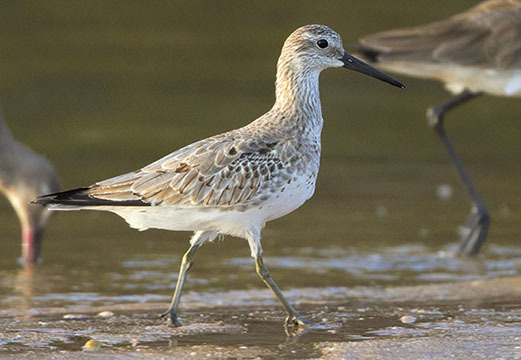 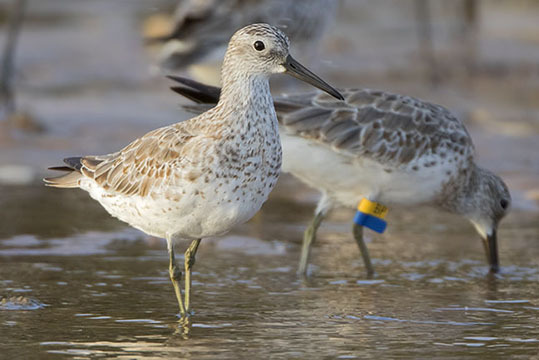 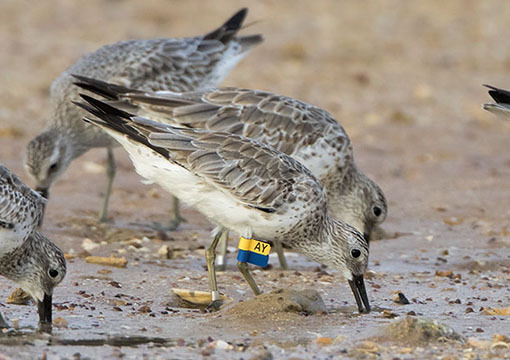 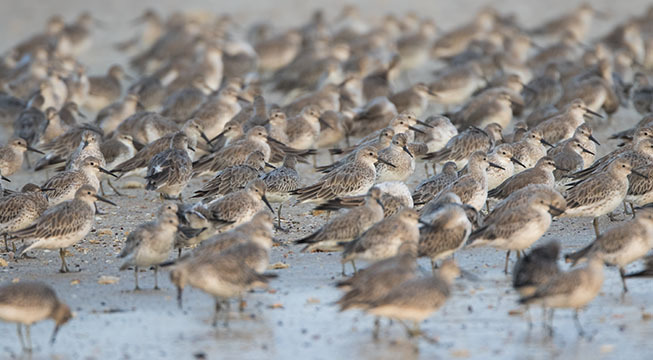 Many great knots winter in Australia, along with smaller numbers of their close relative the red knot. 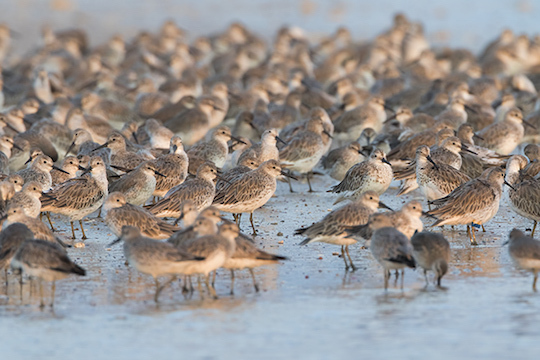 These winter-plumage birds were photographed on a tidal mudflat off Buffalo Creek, near Darwin in the Northern Territory, where they were flocking with black-tailed godwits. 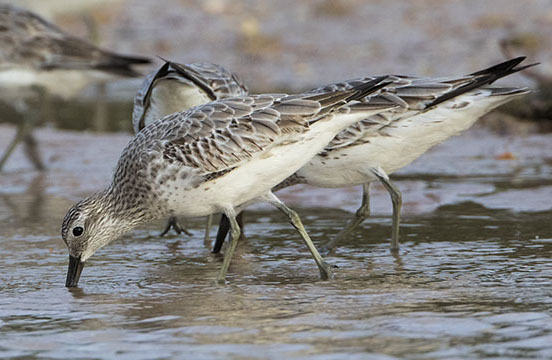 They were very shy and difficult to photograph; a long lens helped but these images are strongly cropped. 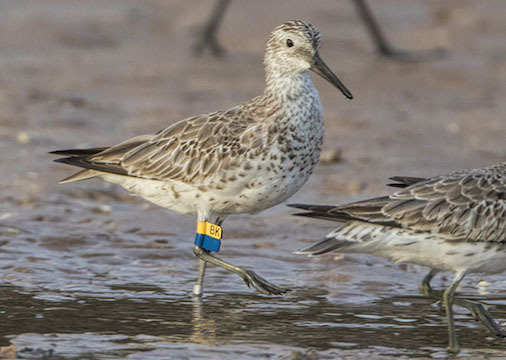 During processing I noticed that several were color-banded; it turns out they were captured in the area a few weeks earlier. 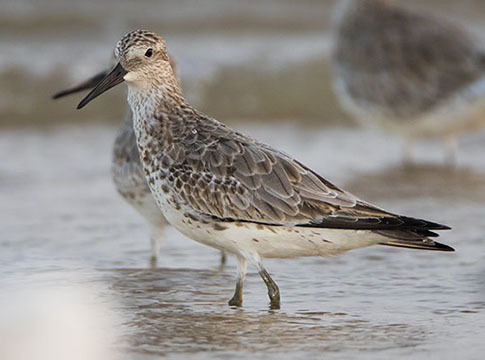 Another page shows birds retaining the heavily-spotted summer plumage.